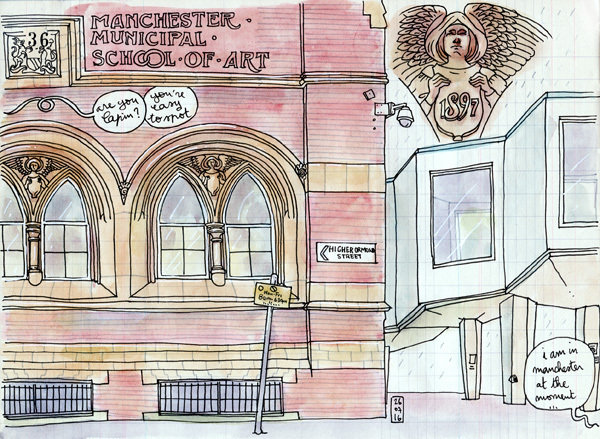 I totally fall in love for Manchester during the symposium, and the week was too short to catch in my sketchbook all the inspiring buildings around. 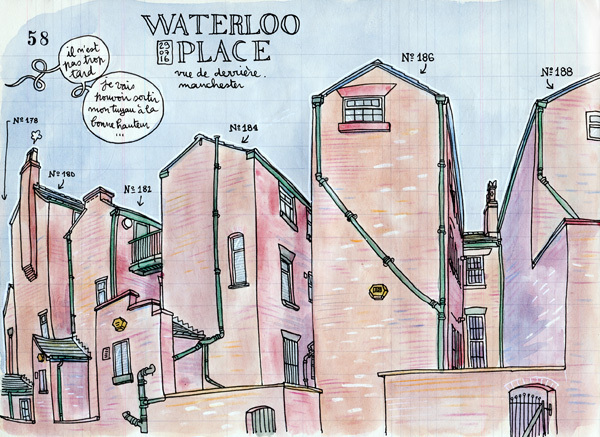 I did not know that much about Manchester before, only that my neighborhood in Barcelona, Poblenou, was called the Spanish Manchester, due to its industrial past. To me, the comparaison goes much further, both cities were totally transformed during the industrial revolution, and Art Nouveau is everywhere (and I'm an Art Nouveau big fan). 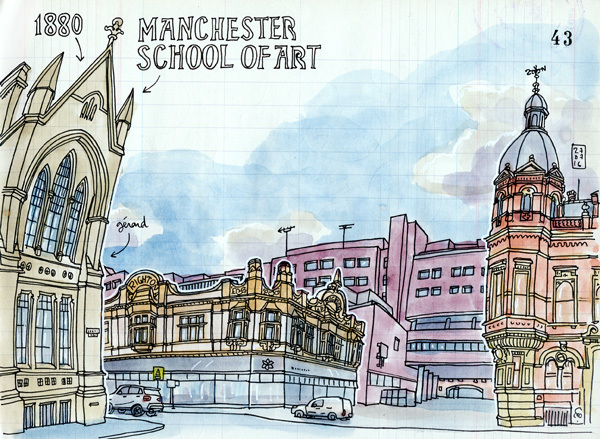 In Manchester, there are plenty of Neo-gothic buildings such as the impressive city-hall or the School of Art. 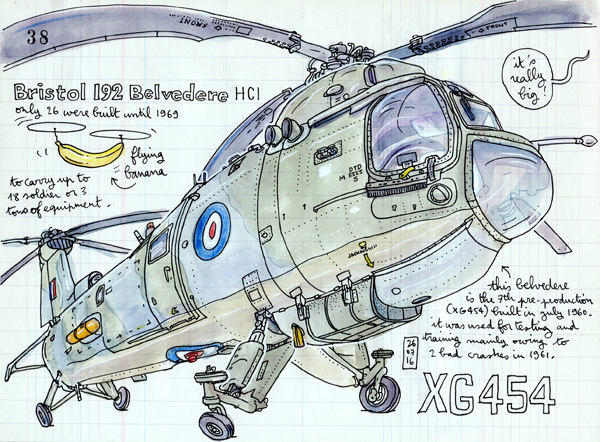 But the city is also a contrast of industrial and modern buildings that is a festival for sketchers. 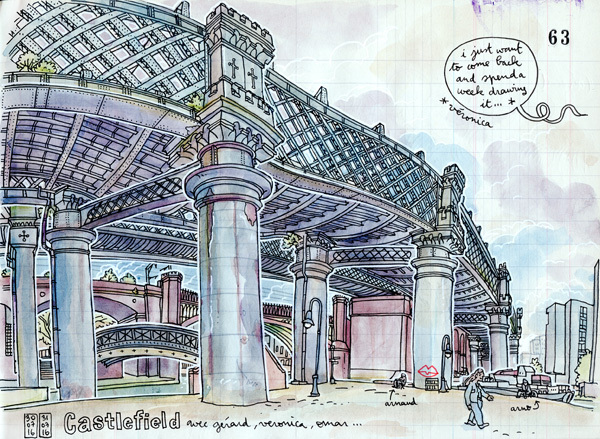 Especially Castlefield as explained Veronica here, you get the filling that the city was built for Urban Sketchers, just for fun. 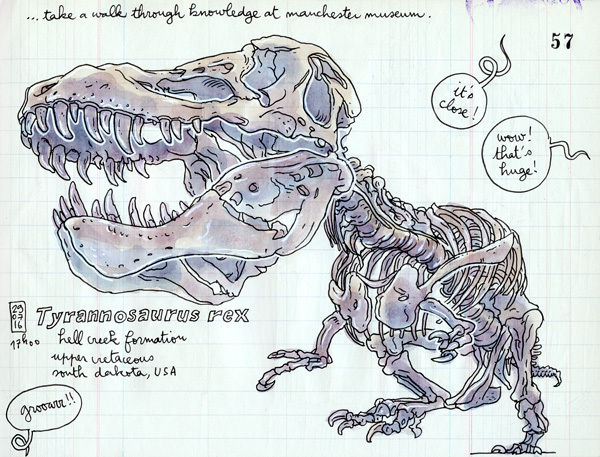 And did I mentioned that there are some dinosaurs and old planes over there? This is a paradise, and I already think about my next trip there. 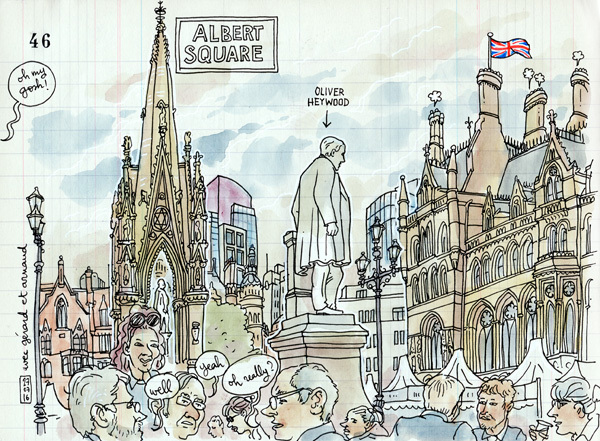 I love Manchester!! 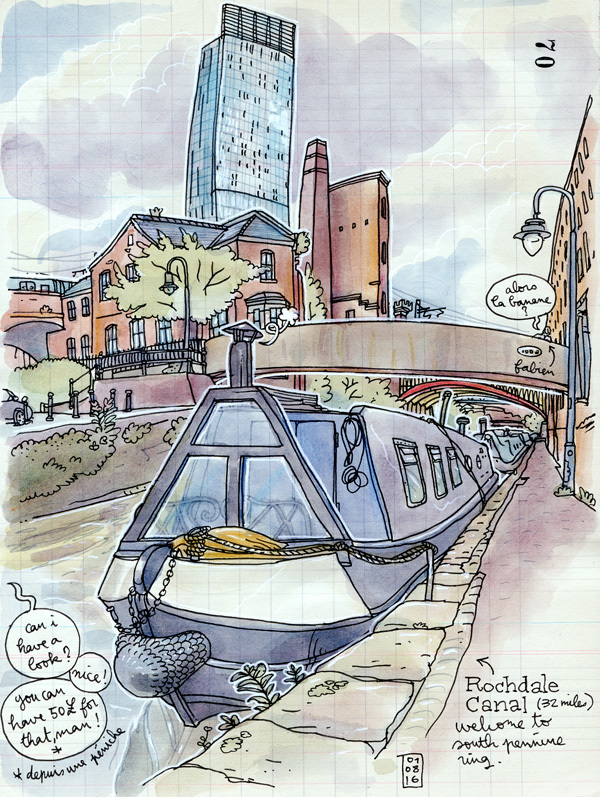 If you'd like to see more of my drawings of Manchester, please visit my personal blog HERE.